Hofstra’s Center for Civic Engagement is hosting a night of workshops aimed at helping Hempstead families learn more about programs and services benefiting middle- and high-school students. “Finding the Path to College,” on Thursday, Oct. 15, will be held at the Hempstead Public Library basement, 115 Nichols Court, from 5 to 7 pm. Workshops will tackle subjects such as finding funding, tips for testing, and how to prepare outstanding college applications. Representatives of educational and community organizations will be on hand to share information and answer questions, and raffle prizes will be awarded. The grand prize will be a free education prep program of the winner’s choice, provided by the Hempstead High School Initiative. 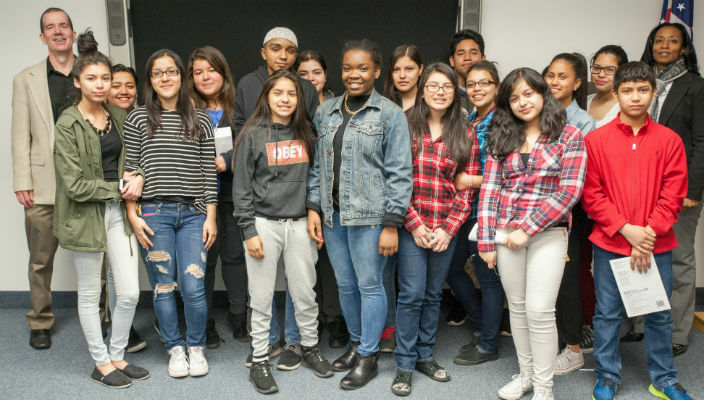 The Hempstead High School Initiative is a coalition of community and university-based organizations offering services to adolescent youth in the Village of Hempstead area. 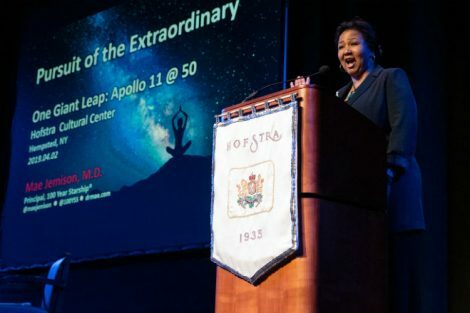 The Initiative is coordinated by the Center for Civic Engagement and the Center for Educational Access and Success at Hofstra in partnership with the Family and Children’s Association. The group’s vision is to significantly improve graduation rates, Regents scores, and the overall quality of the educational experience for the students of Hempstead High School. Available programs and services include mental health counseling as well as classes and interactive workshops in the arts, business, foreign and sign languages, health care skills, science and technology, sports and fitness, writing, and law. Featured image: Attendees at the spring 2015 “Finding the Path to College” event.